We are a SmartSeal registered installer providing effective block paving or driveway cleaning and sealing. 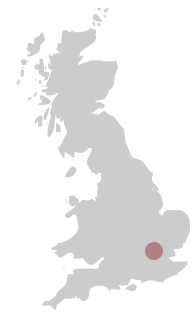 SmartSeal has built up a reputation over 15 years for their cleaning and sealant products. As approved installers we can not only clean your driveway or patio effectively but also apply a protective seal to lengthen the life of the surface. 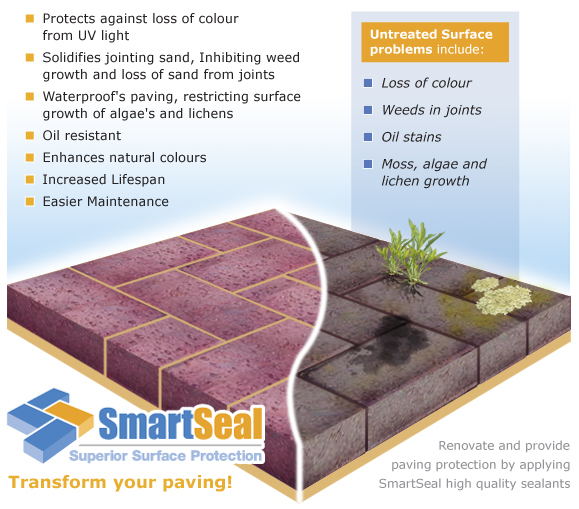 Why use SmartSeal surface protection? How we clean and protect block paving or driveway surfaces? We use the latest ‘rotary head’ pressure cleaning equipment Â to remove all dirt, moss, algae and weeds from the surface. Any stains on the surface are pre-treated with specialist cleaning fluids and are usually easily removed. Once the surface isÂ cleaned using our high pressure jetting equipment, we apply SmartSeal sealersÂ toÂ driveways, patios, concrete and even roofs. This SmartSeal treatmentÂ gives long lasting protection from the elements.